The smartphone seems to be a prototype of Google Pixel 3XL. Google pixel 3XL, one of the highly anticipated flagship smartphones of 2018 may have got its first image leaked. The leaked image comes with a surprise that may be good or bad for you depending on your design choice. The picture was revealed by XDA developers that shows Pixel 3XL having a notch design in the display. Yes, the image that could be an authentic leak about the smartphone so far that puts a stamp on the iPhone like the display on Google device. However, the leak may come as a bad news for many who believed notch display is nothing special. But if we think from a different perspective, it could be a good thing to enlarge the screen by half an inch. The more prominent display always looks better. Besides Pixel 2 and Pixel 2XL had a too large bezel that will be better off. Moreover the other smartphone makers including Xiaomi, OnePlus, LG and Asus have already shifted towards the notch design. In spite of giving the notch in the display, Google has kept the top speaker intact and there are two front cameras as pointed by some earlier rumors. There is still a question over the bottom speaker and what Google will do to erase the bezel from Pixel 3XL completely. Maybe you are in favor of notch or not, but with this image, it is cleared that Google will be taking this display enlarging step which is obvious. Besides, the image says that the phone revealed is just a prototype, and the Pixie 3 XL may be still in its designing stage. This concludes that nothing is specific now for the smartphone. The revealed Google Pixel 3XL prototype comprises just 4GB RAM and 128GB of internal storage that is only possible with a prototype. Google’s Android Open Sources Project (AOSP) has already confirmed that Pixel 3XL is coming this year. However, the suddenly popped leaked image of the device contradicts the earlier rumor suggesting Pixel XL with a full front screen on the basis of Android P feature illustration. So, if this image is indeed the prototype of Pixel 3XL than we need to remove the thought of Google mastering the 100 percent screen idea. 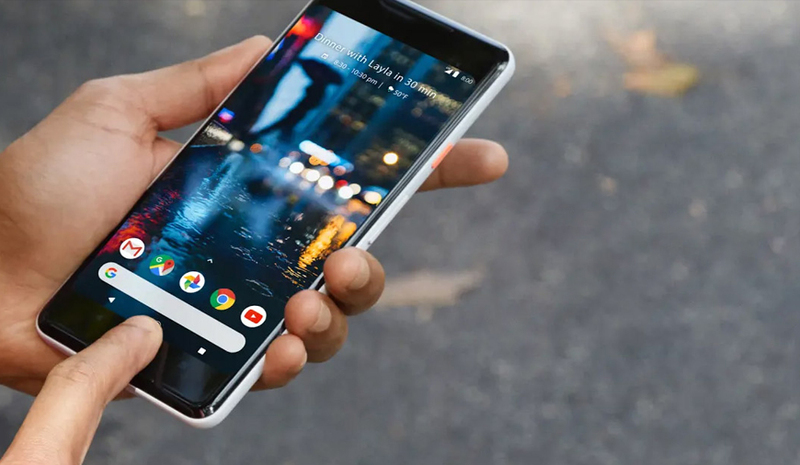 Google is expected to launch three Pixel 3 devices including a high-end premium device that will be costlier than another two. PIxel 3 XL is supposed to be launched later this year, October to be precise until then we will be keeping you updated on every Google Pixel 3XL leaks and rumors.